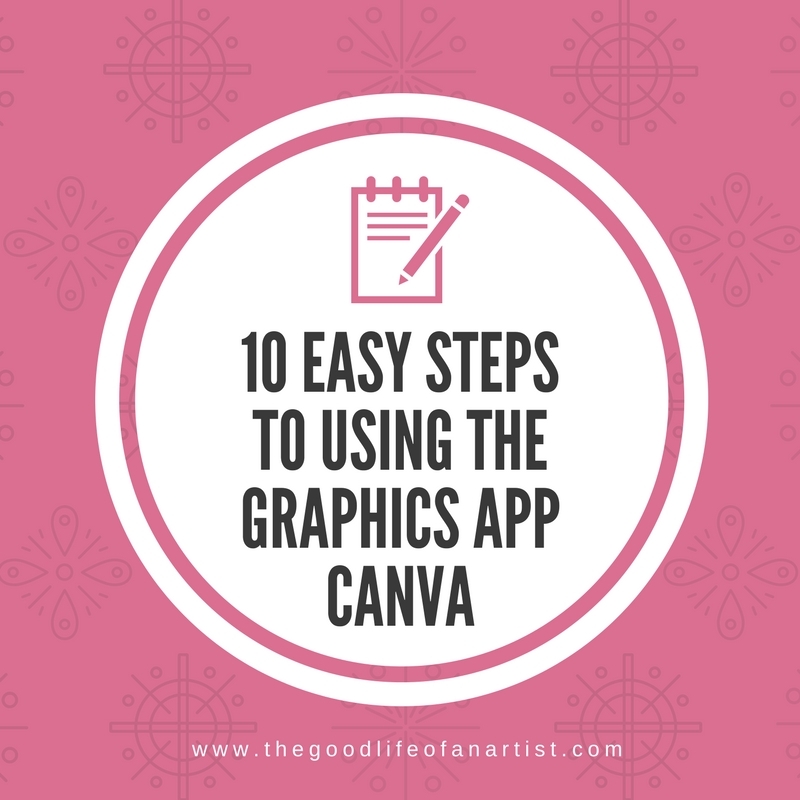 Canva is the computer app that I use every day! A super easy design tool, Canva makes it possible for pretty much anyone to create eye-catching images without graphic design experience. I'm going to show you in 10 easy steps how I used Canva for free to create the graphic on my Calls for Artists page on my blog. You can start from scratch, but for ease of demonstration, we are going to use a ready-made template. 1. Create a Canva account and choose a template. I'm using the EMAIL HEADER option for this example. 2. Scroll through the options in the left hand column and select your design. 3. Upload your image or images from your computer. This design calls for one photo. 4. Click and drag your image on top of the example image. Resize it by dragging the corners. 5. Click the background (turquoise) to select it, and choose the color you would like it to be. There are many standard colors, or click the plus sign (+) for even more! 6. Click and highlight the top line of text, then write over it with whatever you would like it to say. You can change the font, font size and color, if you like. 7. Highlight the second line of text and repeat step #6. 8. Click on the project name and rename it. Click done. 9. Under the file pull-down menu, click save. 10. Click the download tab, select your file type and click download. That's it! Super easy! I hope you enjoy Canva as much as I do. If you have any questions, do not hesitate to ask! P.S. Canva is now available in the Google Play store HERE. I just downloaded it and will report back soon on ease of use.